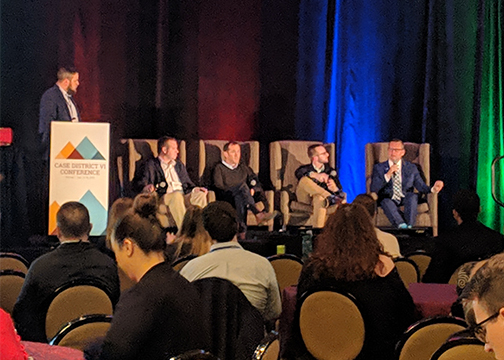 Rod and Adam, both members of the AI in Advancement Advisory Council (AAAC), used the opportunity at CASE District VI in Denver to elaborate on the opportunity that AI presents for Advancement, and why it’s critical that the industry’s leaders have an active role in shaping how it changes and improves the fundraising process for nonprofits, higher education institutions, and other Social Good organizations. Rod is responsible for transforming The University at Buffalo’s (uBuff) fundraising operations. As he explained in his presentation, until a year ago, uBuff was a transactional fundraising organization that wasn’t receiving the average gift size it needed. Despite 45 fundraisers on staff and an alumni base of 260,000, fundraising performance could have been stronger because there was relationship work building to be done. 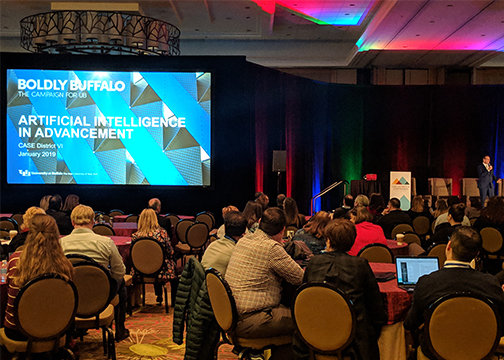 Since integrating AI into uBuff’s fundraising operations, visits are up 70 percent year-over-year, philanthropy is up 32 percent year-over-year, and gift officers are doing significantly more outreach. 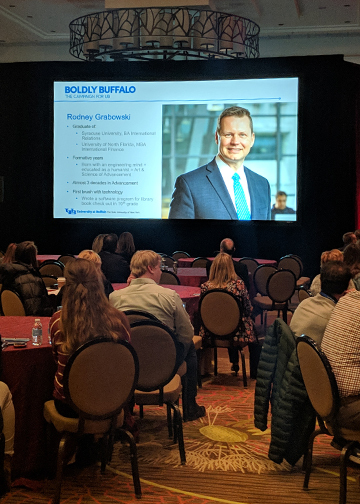 University at Buffalo’s effective use of AI is also filling gaps in staffing needs when budget and/or talent are not available. 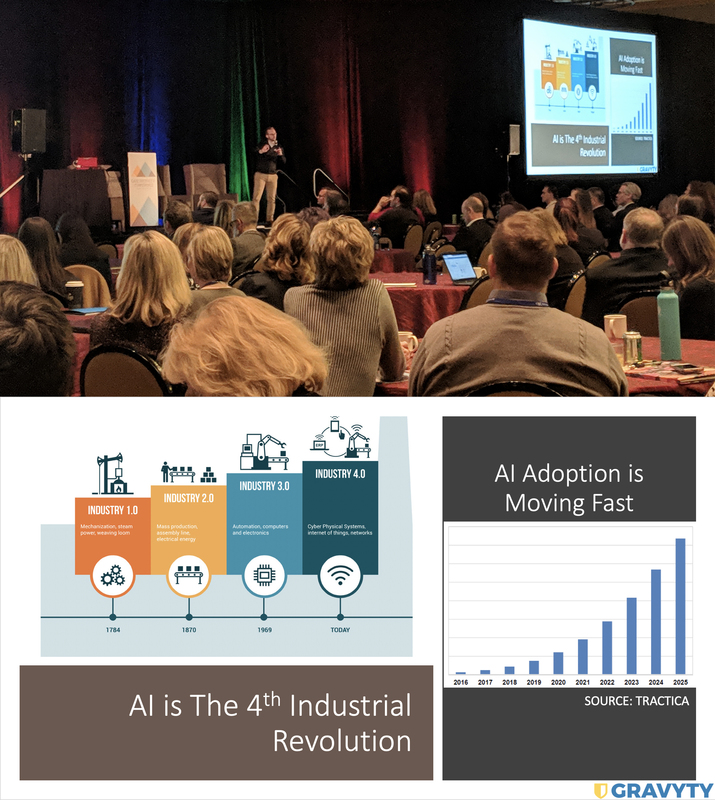 Adam spoke to the crowd about the inflection point that all industries are currently experiencing through AI. While some are waiting for transformative technologies to discover their industries, those that have it, like Advancement, are seeing adoption move fast. 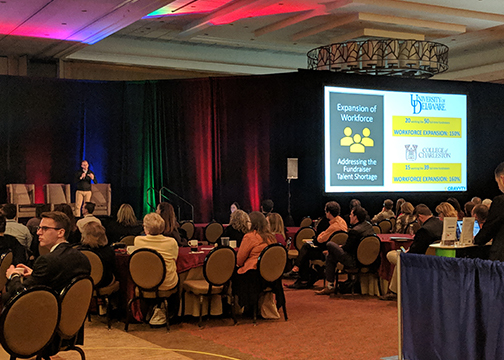 And, through his work with members of the AAAC, Adam also provided first-hand experiences for precisely how AI is moving the needle for organizations and institutions, namely in the field of expanding the workforce. We all know that building relationships is the key to any great fundraising organization. However, Advancement, as an industry, also faces an incredible shortage in fundraising talent. The perfect application for AI in Advancement is to find ways to enhance the work of fundraisers to create efficiencies that allow them to build relationships at two-to-three times the industry standard. For example, Adam spoke to the work being done at The College of Charleston, which has used AI to expand the workforce by 160 percent. Are you interested to learn more about AI, its impact on Advancement? Visit the Gravyty Resources Page, where you’ll find articles on the topic, case studies, on-demand webinars, white papers, and more. 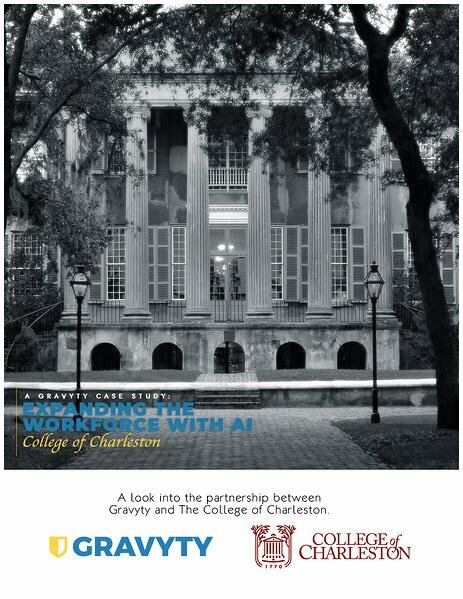 For more information on how The College of Charleston expanded its workforce by 160 percent with AI, check out our case study, below.